Sanyo air conditioning systems are ideal for quiet applications with units on Quiet mode reading 21dB. SANYO air conditioning systems use originally developed scroll and rotary compressors with R410A refrigerant. Their newly developed heat exchanger and microcomputer have formed lightweight, compact, and highly efficient outdoor units. Sanyo ultra-quiet air conditioners are energy saving, as well as user and environmentally friendly. 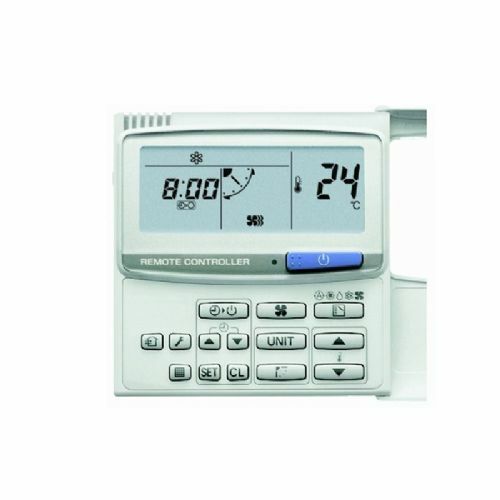 Sanyo wall mounted units come with the unique local control feature which allows the user to use the controller as a thermostat (conventional units are limited to indoor unit thermostatic control) so you get a unique local temperature control. Sanyo air conditioning equipment comes with 3 years warranty on parts.